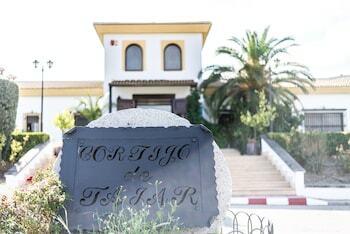 With a stay at Hotel Cortijo de Tájar in Huetor-Tajar, you'll be within a 15-minute drive of Santa Catalina Church and Narvaez Palace. Featured amenities include dry cleaning/laundry services, a 24-hour front desk, and luggage storage. Free self parking is available onsite. When you stay at Hostal Bonavista in Calella, you'll be near the beach, within a 10-minute walk of Calella Beach and Pineda de Mar Beach. Located in Calpe, this villa is within a 10-minute drive of Arenal-Bol Beach and Cantal Roig Beach. Free self parking is available onsite.